I forgot to tell you what I did last night, because it's so interesting. Jaclyn came over and I gave her a page out of my colouring book. We sat down and coloured. We love to colour. I coloured two pictures of Wonder Woman. 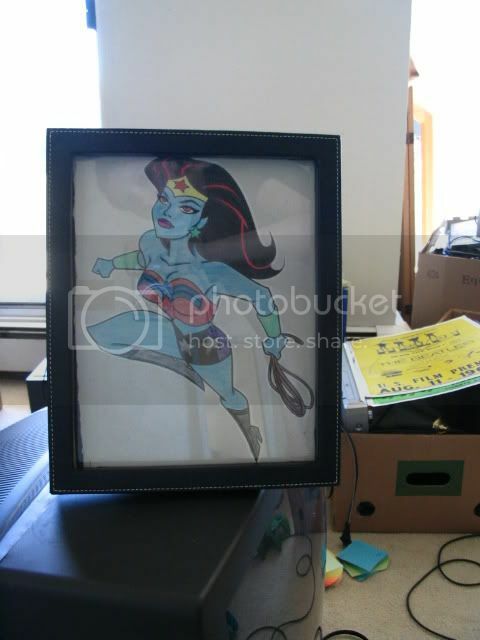 Now, I don't particularly like Wonder Woman, so I made her look better. And my fantasy version. Framed. I think we were colouring for over an hour. It was great. 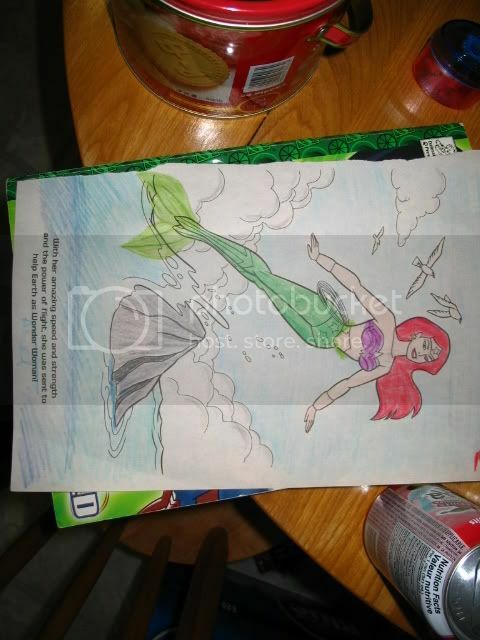 ps, when dave came home today he said 'did you make her into the little mermaid?!' which made me realize i did a good job. I laugh everytime i see that one.